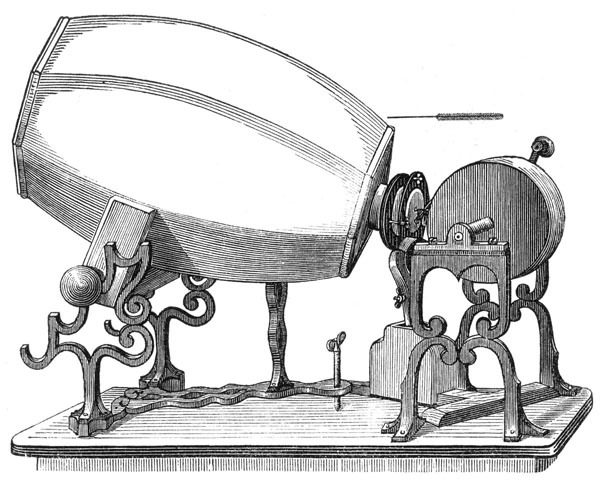 On April 9 the first line of Au clair de la lune was recorded by Édouard-Léon Scott on his Phonautograph. This is "the earliest clearly recognizable record of the human voice yet recovered." See First Sounds for a comprehensive story of this recording and its restoration. Suggested celebration: Glass of French wine while viewing the moon, holding one lit candle and listening to Au Claire de la Lune fragment (believed to be the voice of Leon Scott) - soundtrack courtesy of First Sounds. 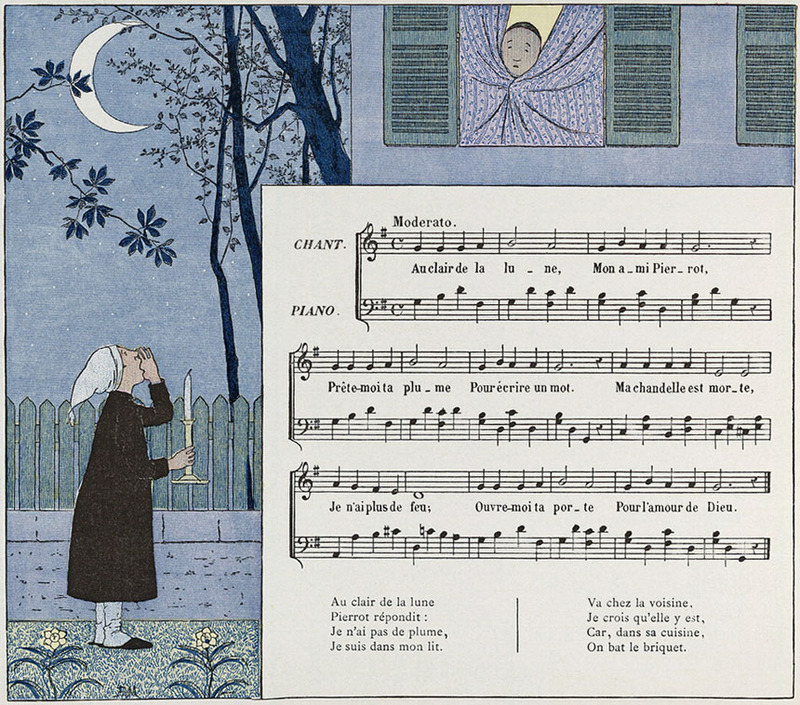 Illustration from "Au Clair de la Lune", traditional French folk song, reprinted in a French children's book Vieilles Chansons pour les Petits Enfants: Avec Accompagnements by Widor, Charles Marie, 1844-1937 (book text), Louis-Maurice Boutet de Monvel,1855-1913 (illustration)- source Wikimedia Commons. Full more information see the Wikipedia Phonautograph.